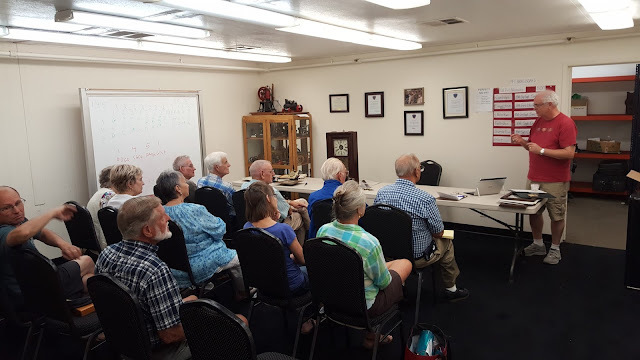 Great chapter 136 meeting on Aug 26th! 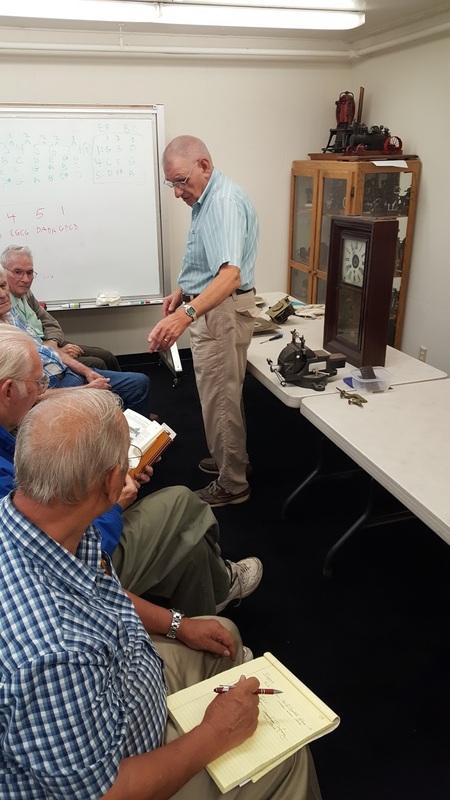 Rick's presentation on clock glass and glass cutting was very informative. 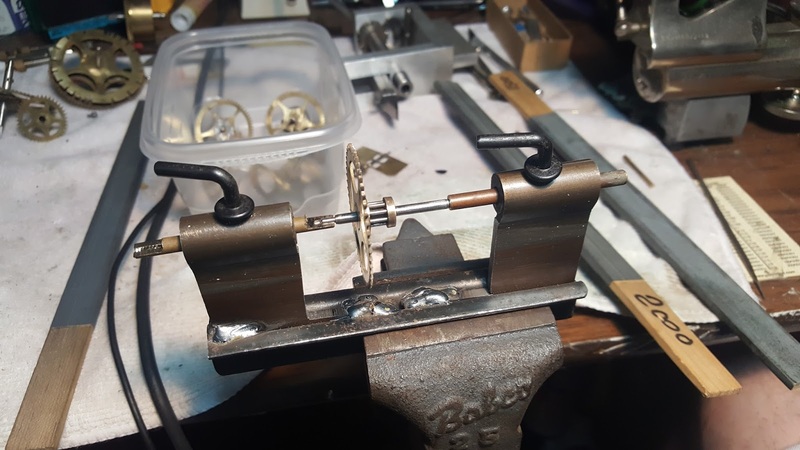 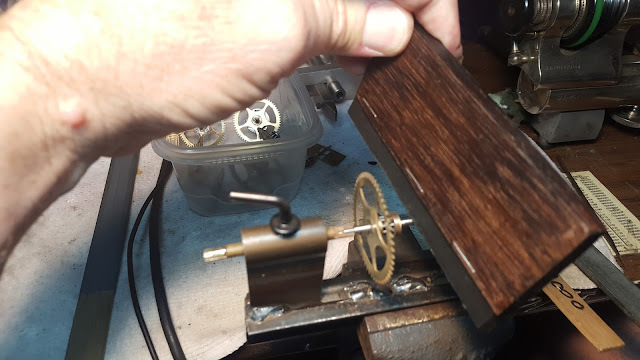 Bob's show and tell about Hand Forged brass clock movements from the 1700s. Dan brought in a Charlie Davis custom pivot polisher.